Taoiseach Leo Varadkar dramatically intervened in the Football Association of Ireland (FAI) row and warned no one would have been satisfied by John Delaney's performance before an Oireachtas committee this week. Mr Delaney, the former chief executive of the FAI, declined to answer any questions before the Oireachtas Sport Committee on the specific circumstances of his providing a €100,000 loan to the association two years ago. Mr Varadkar stressed that while Mr Delaney was fully within his rights to adopt that position before the Oireacthas committee, it was unsatisfactory for politicians, sports fans and taxpayers alike. "I don't think anyone would be satisfied by it," he said. "The public, taxpayers, football fans would have like those questions to be answered. "The truth is that he was within his legal rights not to answer those questions. "He is not a public servant and therefore is not accountable to the Oireachtas. "However, the FAI is accountable to the Office of the Director for Corporate Enforcement (ODCE) and is accountable to Sport Ireland for the public money they get. "I know those bodies will have questions to ask of the FAI which need to be answered, allowing us to do what we want to do which is restore funding to the FAI so money can flow to local clubs, young people and into sport." Mr Varadkar said his priority was to ensure Sport Ireland could restore State support funding to the FAI - but this can only be done when the Government and Oireachtas are satisfied over how previous State funding has been used. Several major investigations are now under way into FAI finances in light of the revelations over the past month. 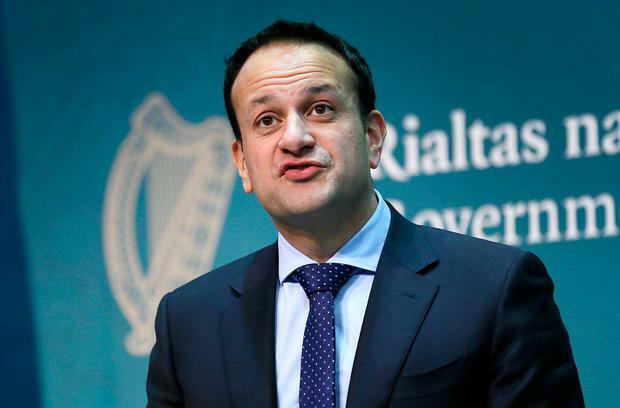 "The most important thing from the Government's point of view is to make sure that the millions of euro of taxpayers' money we give to the FAI has been used for the purpose intended," Mr Varadkar said. "That is for facilities around the country, investment in youth, investment in women's sport. We need to carry out an investigation now to make sure that money was being properly used. "I am actually very keen to restore funding to the FAI because we want that money to flow to local clubs, to youth and to women in sport. We just need to make sure that it is spent appropriately. "In terms of John Delaney, the FAI is not a public body -it is a private organisation or company. So I suppose he is within his legal rights not to account to the Oireachtas. He is not a public servant. "But they [the ODCE and Sport Ireland] have questions to ask and John Delaney and the [FAI] board will have to answer them." The next formal development will be Sport Ireland's return to Government Buildings on Tuesday, where they will be joined by Sports Minister Shane Ross as they go before the same committee. Mr Ross will be expected to offer his thoughts on the FAI's reaction to recent events. Further correspondence between the FAI and Sport Ireland is expected before that hearing takes place, with sources indicating that some members of the Abbotstown board believe changes at the top will be required to get through this period. Meanwhile, European football's governing body Uefa has said it is "aware" of the funding suspension but it has refused requests to offer further comment. Mr Delaney is a member of its executive committee, and the importance of that for Irish football was cited consistently in the Jonathan Hall Report that recommended his switch to executive vice-president.